Thanksgiving is over, Eamon is officially 3, and all the colds are finally better which means we are in full Anniversary, Ainsley’s Second Birthday, Christmas prep mode. Yeah, December is a little busy around here, but its the best kind of busy. So many of the wonderful moments in our lives occurred between Thanksgiving and Christmas and we like to celebrate them all. 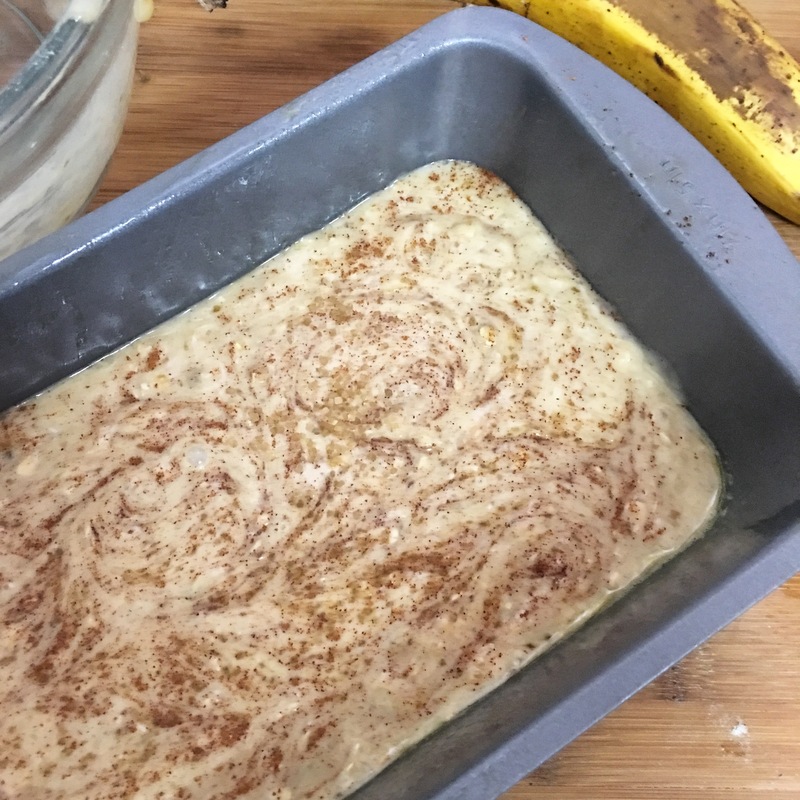 That means in addition to the traditional holiday foods December involves a lot of Cakes and other extra treats so when the kids were so sick we actually had some bananas get overripe, I knew it was time for one of my go to healthy quick breads. Jordan took Eamon to school and Ainsley and I got to work. Ainsley has never really cooked with me before, she usually disappears after one or two ingredients to go play with the broom or rearrange the pantry but today she stayed with me the whole time and it was a wonderful disaster. Oats all over the floor, all kinds of extra unnecessary utensils put to use, and one extremely happy girl. When Eamon got home she proudly showed him what she had made and he very sweetly praised her while eating his slice as fast as he could. 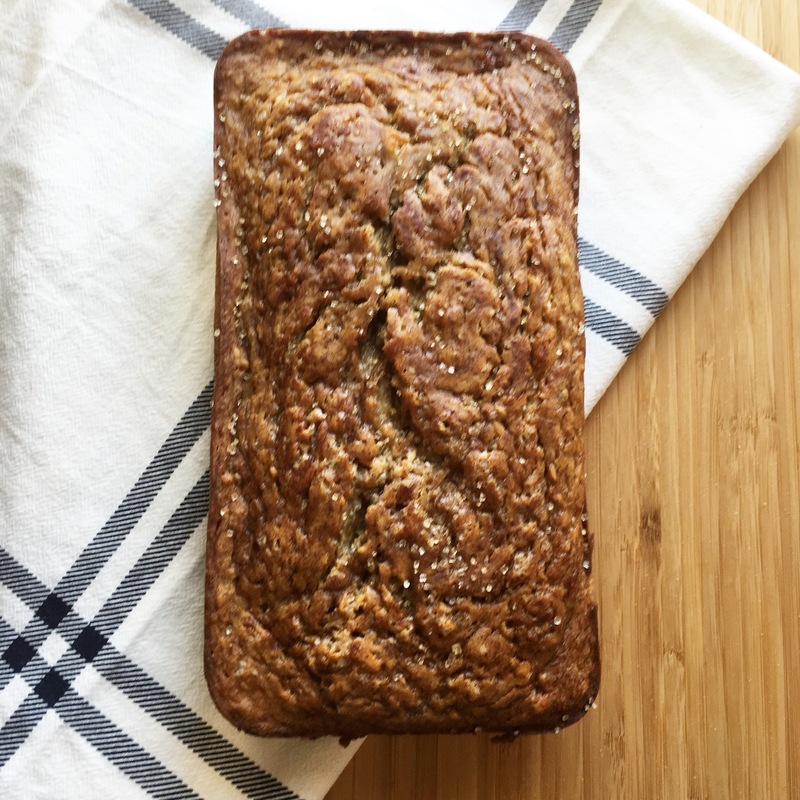 This Healthy Banana Oatmeal Bread is moist, tender and flavorful. 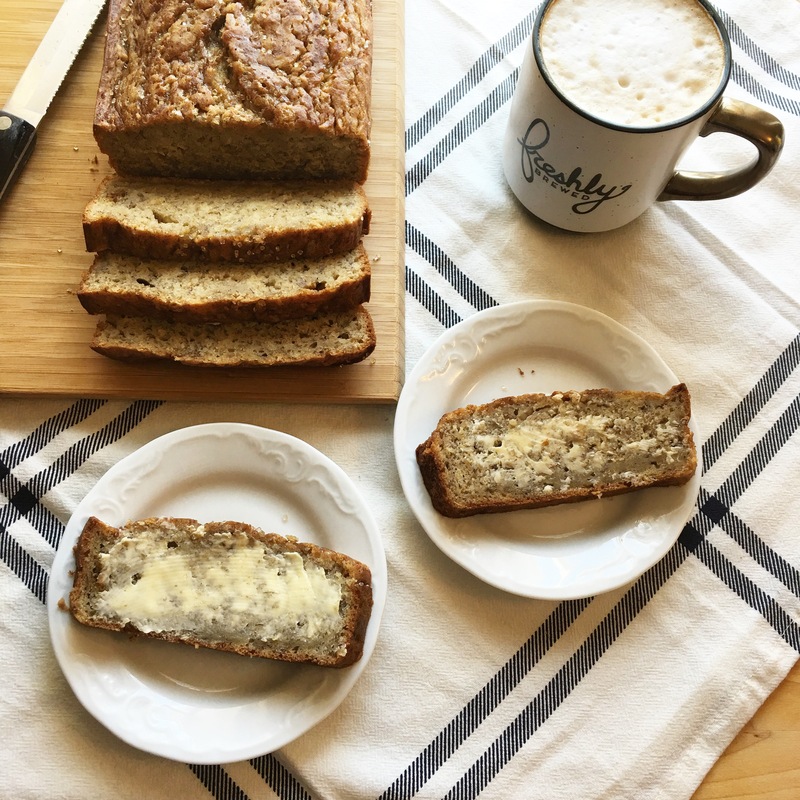 It is kept healthy with the use of coconut oil and pure maple syrup instead of butter and sugar. This also keeps the bread from becoming dense from all of the banana. Prepare a 9⨉5 loaf pan with non stick spray. 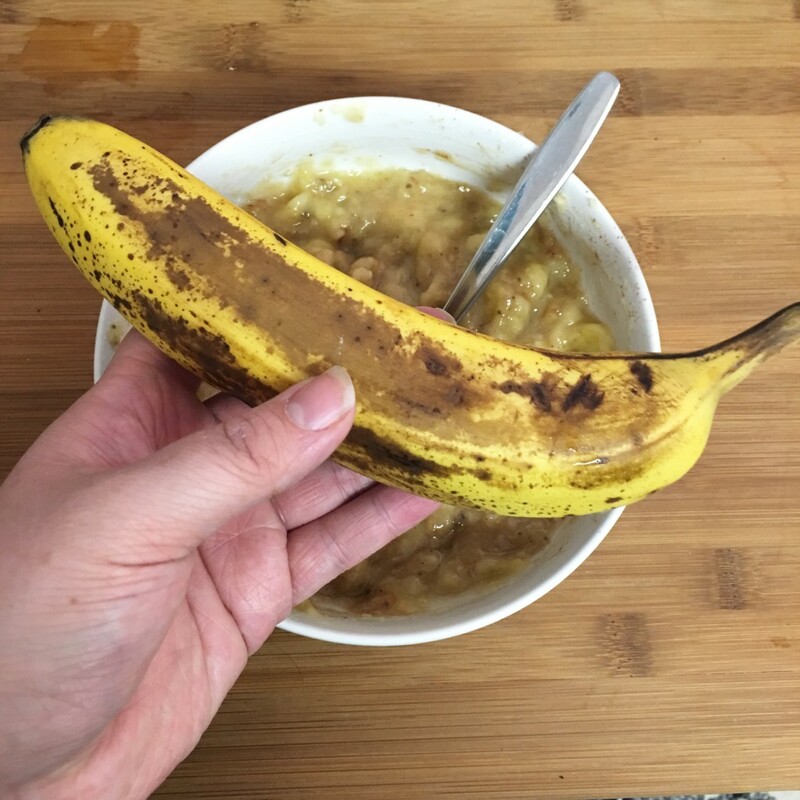 In a large bowl mash bananas, some chunks are okay. Stir in milk, vanilla, cinnamon, and pumpkin pie blend. Add oil, butter, eggs and maple syrup to the banana mixture. Stir until well combined. 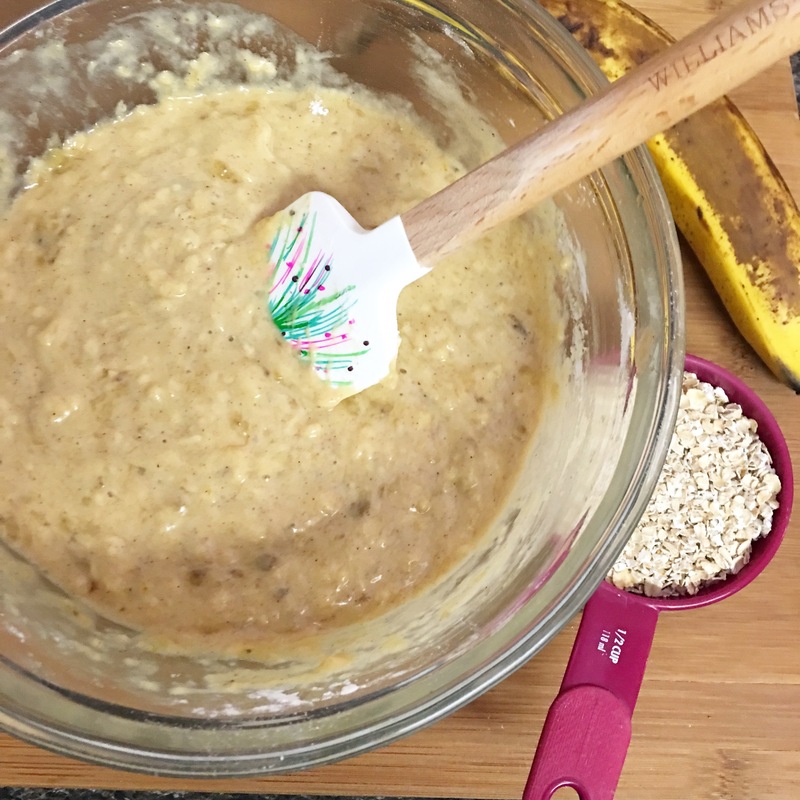 Gently fold the flour mixture and oats into the banana mixture until just combined. 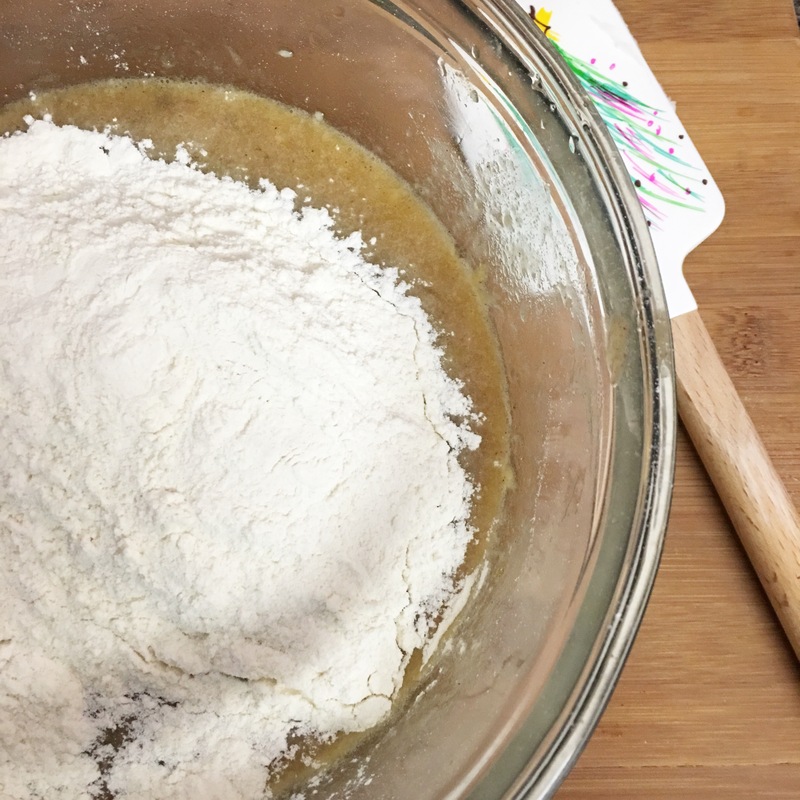 Pour the batter into prepared loaf pan. Sprinkle with extra cinnamon and raw sugar if desired. Bake for 60 minutes or until golden brown and set. Bread lasts longer if stored in the refrigerator and can be sliced and frozen for up to three months.